In third grade at Alameda Elementary School in Portland, one of my friends was Gregory Unthank. 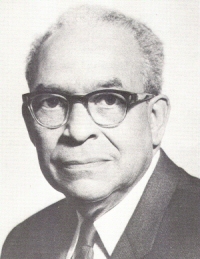 Gregory’s grandfather was one of the best known names in Portland’s African American community. Dr. Unthank was one of those local heroes who persevered and served tirelessly through times of hostility and bigotry. Their sacrifices and courage made all the difference in the historic struggle for civil rights and justice. You can read biographical sketches of Dr. Unthank here and here. This entry was posted in Uncategorized and tagged Black History Month, civil rights movement, DeNorval Unthank by Steve Dehner. Bookmark the permalink.